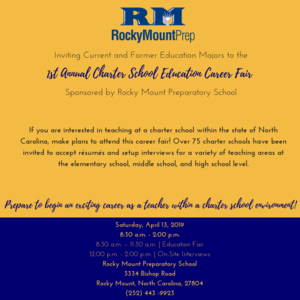 Education Fair to take place at RMP on Saturday, April 13. 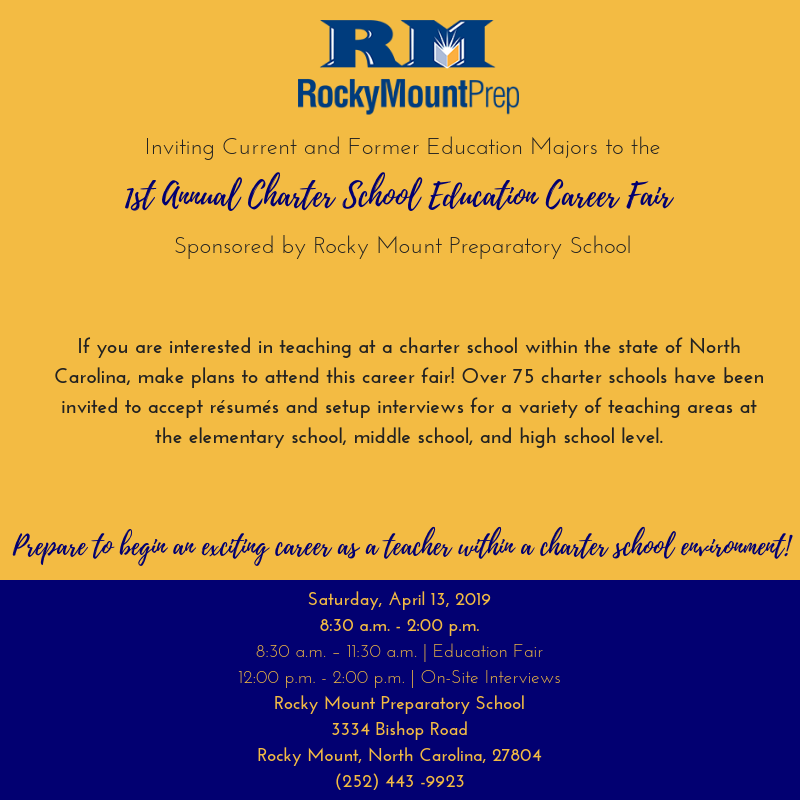 Rocky Mount Prep invites current and former education majors to the 1st Annual Charter School Education Career Fair sponsored by RMP. If you are interested in teaching at a charter school within the state of North Carolina, make plans to attend this career fair! Over 75 charter schools have been invited to accept resumes and setup interviews for a variety of teaching areas at the elementary school, middle school, and high school level. Prepare to begin an exciting career as a teacher within a charter school environment! The education fair will be held Saturday, April 13th from 8:30am - 11:30am, with on-site interviews following from 12:00pm - 2:00pm. Rocky Mount Prep is located at 3334 Bishop Road in Rocky Mount, NC.